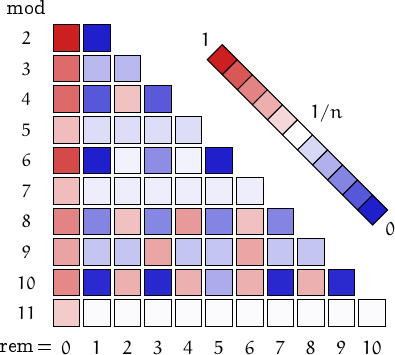 A number is called pseudoperfect if it is equal to the sum of a subset of its proper divisors. For example, 12 is pseudoperfect since it can be written as 2+4+6. Pseudoperfect numbers are also called semiperfect. All pseudoperfect numbers are clearly perfect or abundant and all the practical numbers, except powers of 2, are also pseudoperfect. The multiples of a pseudoperfect number are pseudoperfect and a number of the form is surely pseudoperfect if there is a prime which divides . According to Wenjie Fang, all the odd abundant number below are also pseudoperfect. An abundant number which is not pseudoperfect is called weird. Below, the spiral pattern of pseudoperfect numbers up to . 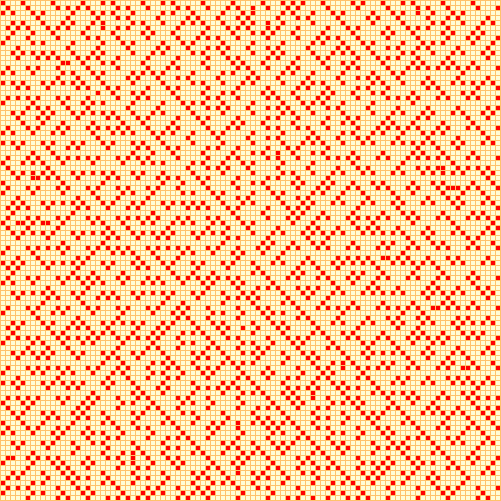 See the page on prime numbers for an explanation and links to similar pictures. 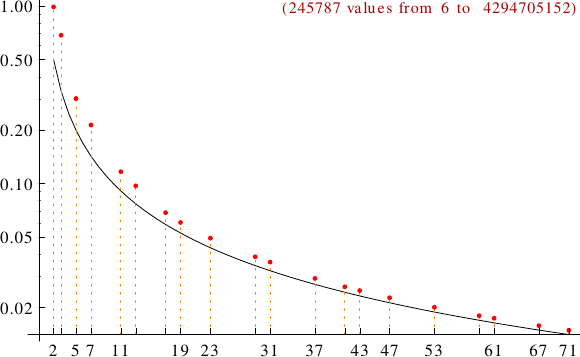 A graph displaying how many pseudoperfect numbers are multiples of the primes p from 2 to 71. In black the ideal line 1/p.